Here at Axess2, we love how diverse and fun each and every single one of our projects are, and we always look forward to new and exciting experiences. 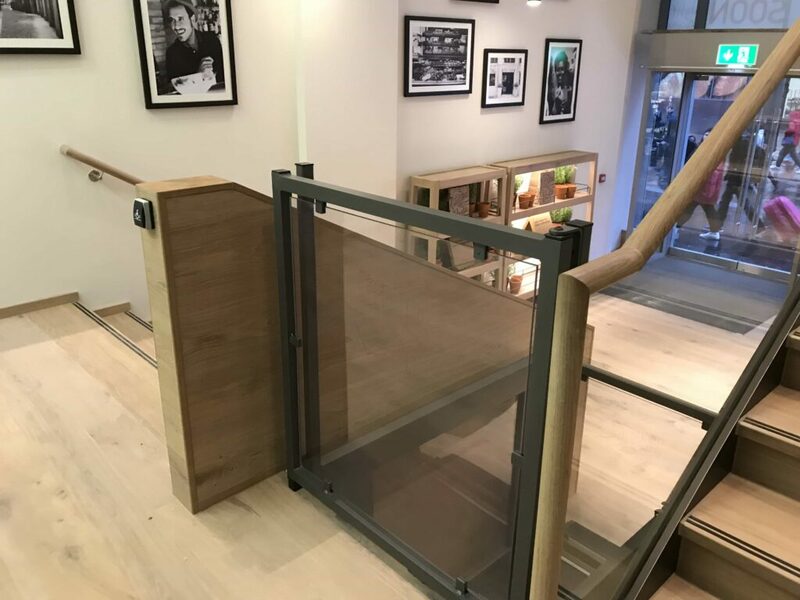 One such experience was working with the international gastronomy group Vapiano by installing two platform lifts in their Glasgow restaurant. We had the pleasure of working with architect firm Finkernagel Ross on this project, who did a wonderful job for Vapiano. 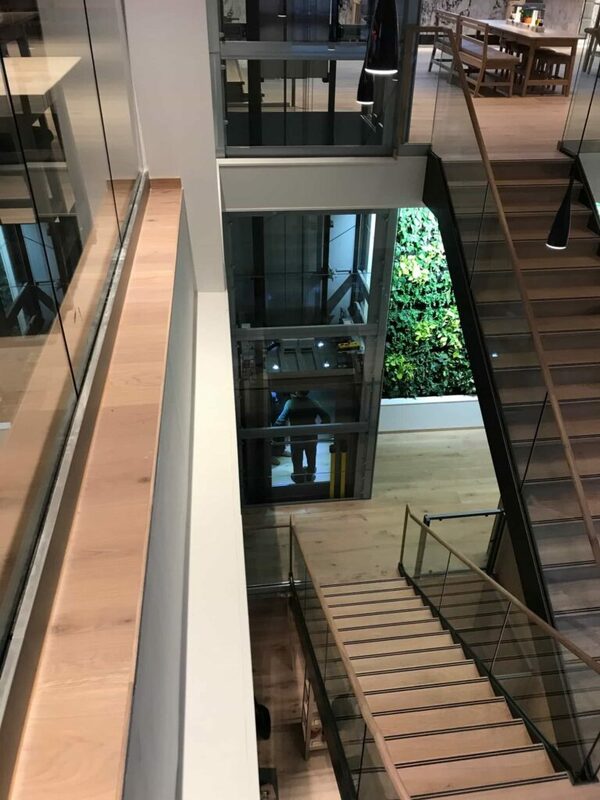 We were asked to fit a glass passenger lift and a low-rise vertical platform lift in the premises, and we couldn’t be happier with the end result! 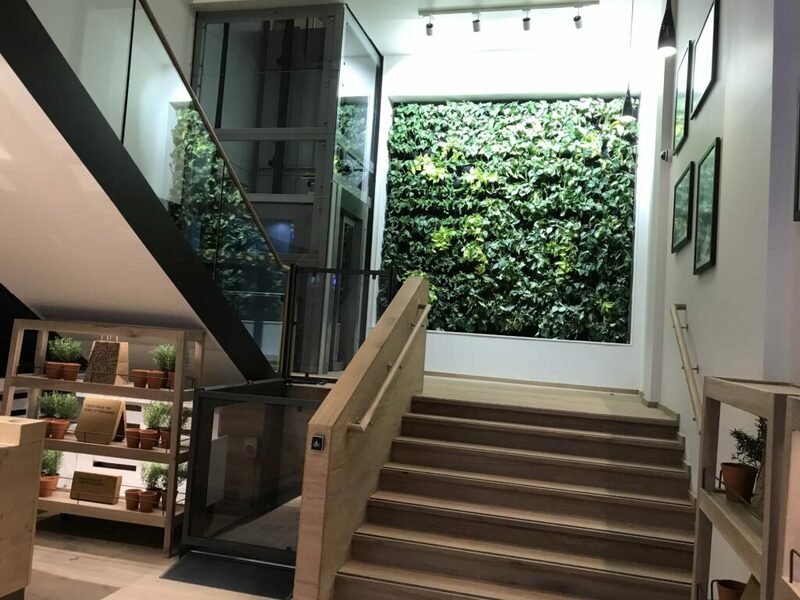 We manufactured a bespoke glass structure here in the UK and fitted a new EN81-21 lift to new standards in Vapiano’s amazing flagship restaurant in Glasgow. Because we understand that each project is different, tailoring the lift to its needs and requirements was key and our aim was to ensure that the lift met Vapiano’s specifications at all times. When the interior design of a space plays such an important role, it’s also crucial to find the right lift to balance it. The other lift we fitted was a LIFT UP low-rise platform lift, which we installed at the ground floor entrance. Just like with the glass lift, we also needed to find the perfect lift for this location. Platform lifts are great choices when space is limited, as they can be low pit, pitless and with low headroom. This allows them to be easily installed and integrated into a space. 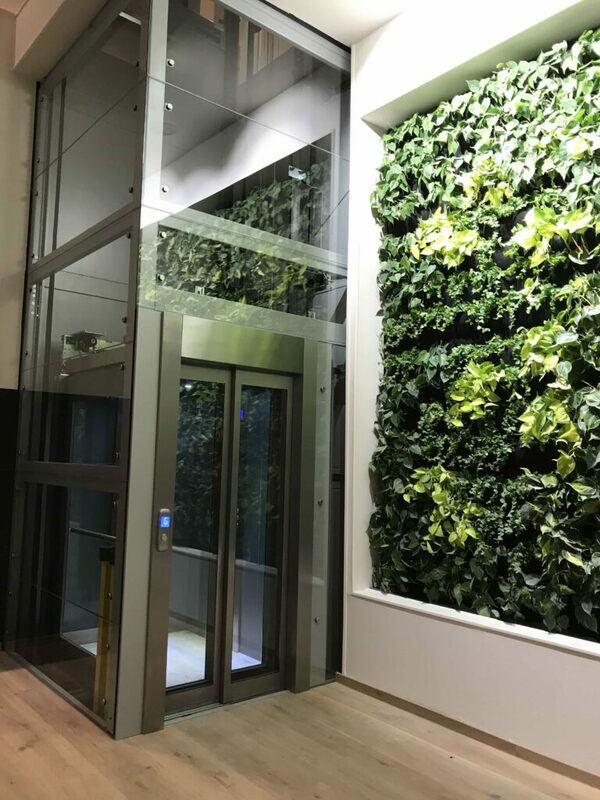 Providing a simple and secure solution for users with mobility concerns, this lift remains aesthetically pleasing nonetheless. This means you get the best of both worlds, as you don’t have to compromise design for practicality. Both of our lifts were installed at Vapiano Glasgow with the end user in mind, as we strive to always offer the best possible experience. At Axess2, we’re always here to help you find the right platform lift solutions, just like we did for Finkernagel Ross. Our wide range of products ensures that there is always something for everyone and, if you don’t find what you’re looking for, you can always request a bespoke design. If you wish to learn more about what we offer, we’re on hand to answer any questions you may have, so get in touch with our team today!